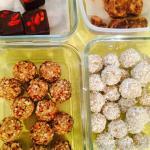 For many the word chocolate conjures up images of sweet indulgence and decadent desserts. There are a few strange folk for whom chocolate holds no allure but, for the majority of us, the weakness for chocolate is a love affair laced with guilt. Unfortunately the association we have of chocolate as an unhealthy or fattening sweet treat is partially due to the way that we, in the modern world have chosen to prepare this wonderful food. We process the raw Cacao bean and combine it with less than healthy ingredients such as refined sugars and animal or cheap vegetable fats. Most well known commercial brands use a very low ratio of refined Cacao (chocolate bean) powder resulting in a product that is overall very sweet and very creamy and has almost no nutritional benefit. 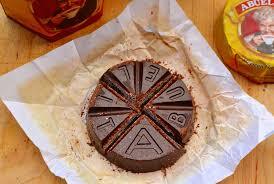 Unrefined or Raw chocolate however is a very different creature all together. Raw cacao and artisan cacao products are made using the paste from the whole bean or a combination of raw cacao powder and cacao butter with a minimal amount of natural sweetener. These highly nutritious ingredients combine to make a delicious treat that is not only indulged but also good for you! Those who hail from Mexico will still be enjoying chocolate as a sweet delight in the form of traditional chocolate drinks (Xocolat). 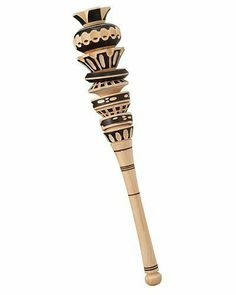 They combine lightly toasted beans with raw sugar and spices like vanilla, cinnamon and chili to make exquisite tasting Chocolate that can be blended with water or milk. 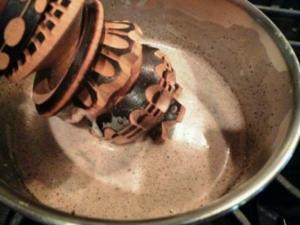 To make the hot Xocolate beverage: the Cacao pate or solid tablet is pounded in hot milk with a special wooden pestle. 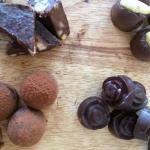 Some years ago I visited a traditional artisan Xocolate production facility in Oaxaca Mexico. 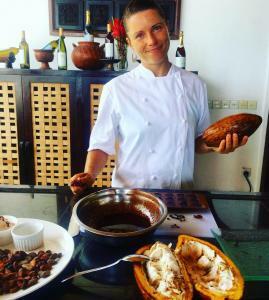 We were able to observe the process of passing the Cacao beans and the exquisitely scented spices and raw Panella (unrefined evaporated sugar) through simple grinding mills that macerated the ingredients together and spilled out a dark aromatic paste. This paste was then pressed into 1/2 Oz blocks and wrapped in wax paper. The Xocolate in paste form is used to make many dishes. Some of you may have even tried savory dishes like Mole sauce. I have tried variations of this dish a few times, both in Mexico and abroad and I must say it is an acquired taste!. 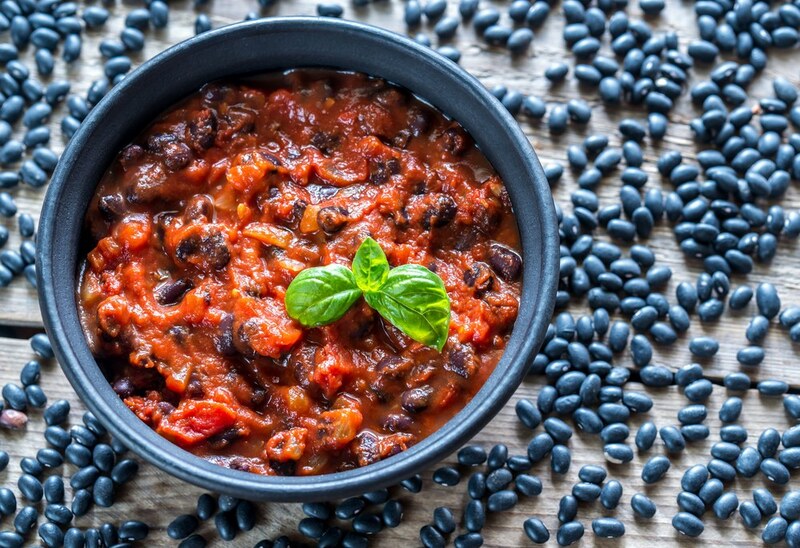 I do however love to add raw dark chocolate to some of my Mexican inspired savory dishes, you will find a recipe for my ‘Smokey black bean chili’ in the recipe section below. So where does Chocolate come from? Chocolate is made from the Cacao bean, a large seed found in the fruiting pod of a small understory tree, native to Central and South America. Today it grows across most of the tropical regions of the world, with the majority of the commercial production being in Guniea and Ivory Coast in Africa. 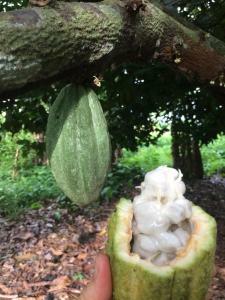 What is all the hype about raw cacao? Raw vs conventional chocolate: Conventional chocolate, even the finer brands, go through a series of processes including roasting, often at high temperatures. 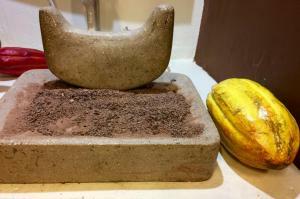 Fractionation; separating the Cocoa fats from the cocoa solids and, sometimes the addition of alkalizing agents, a process known as Dutching, to make the resulting cocoa powder easier to use in baking. 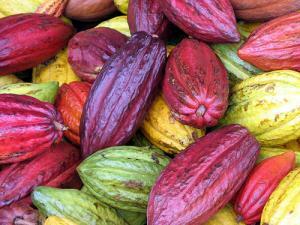 These processing methods, denature, and oxides the Cacao resulting in a loss of nutrients and antioxidants. Being as raw Cacao is one of the richest sources of antioxidants on the planet, it is always good to look to maintain the optimum quality, in terms of nutrition, as possible. 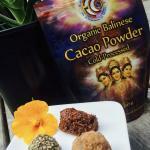 The less we mess with cacao, the better it is for us both nutritionally and medicinally. Yes, given the antioxidant and phytochemical make up of the Cacao bean, it has a beneficial effect on the body, most notably on the cardiovascular system and also on our moods. The ‘caffeine like’ compound responsible for Cacao’s stimulant effect is a powerful vast dilator (enables blood vessels to take up 40% more oxygen) and thus helpful for those with heart issues such as high blood pressure or arterial plaque. Cacao is a wonderful source of protein, iron, copper and, most notably, a rich source of magnesium, a vital mineral that many of us are deficient in. 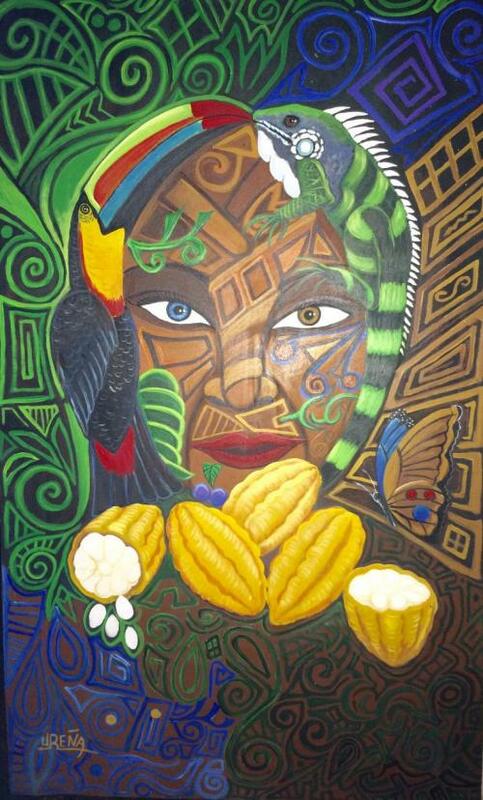 Cacao butter contains beneficial fats in equal amounts of unsaturated oleic and saturated stearic and palmitic acids as well as appreciable levels of vitamins K and E. These fats, eaten as a whole food and as part of a well balanced diet, are not only healthy providing fuel for the brain, but are wonderful when applied to the skin and hair! 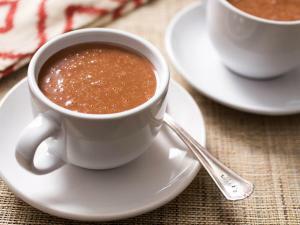 In a small sauce pan, place the cinnamon, vanilla and cayenne with 2 cups of the plant milk. Bring the mixture up to almost boiling, stirring constantly with a wooden spoon or a small whisk. Once the cacao has dissolved and lumps are gone, add in the rest of the milk and slowly bring everything up to a nice steamy heat, do not boil. Add sweetener to taste. Serves 4. In a heavy based medium pan gently heat the oil, take care not to let it reach smoke point. Add in the Carrots, Celery, onions and Mushrooms, sweat for 5-8mins, add in Garlic and Jalapeño, sauté for a further 5 mins. Scrape the chopped tomatoes into the pan, try not to loose any juice! Next add in the beans, chipotle, Bullion, marmite or Miso, Tomato puree and dry spices, stir well. Add in a little water and mix well, bring to a gentle bubble, take time to stir and ensure no sticking on bottom of pan. Cook for 35-45 mins until the flavors are well developed and the vegetables start to break down a little. Add water as necessary, aiming for a nice thick sauce.Lastly stir in the Cacao and season with salt and pepper to taste. Serve with brown rice, quinoa or Sweet Potato wedges and Guacamole!! !.